The clinical applications of cationic polymer-based non-viral gene carriers are usually hindered by the instability of polyplex or complex between these cationic polymers and anionic genes. In order to increase the stability, an amphiphilic cationic block copolymer PHB-b-PDMAEMA was designed to form cationic micelle, which comprised hydrophobic poly[(R)-3-hydroxybutyrate] (PHB) block and cationic poly(2-(dimethylamino)ethyl methacrylate) (DMAEMA) block. Interestingly, this cationic micelle after complex formation with plasmid deoxyribonucleic acid (pDNA) exhibited enhanced stability within 24 h and showed improved gene transfection performance than PDMAEMA only or non-viral transfection gold standard poly(ethylene imine) with molecular weight of 25 kDa (PEI-25k). 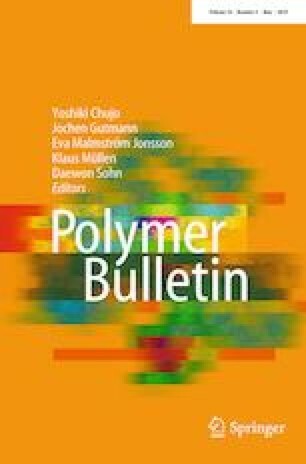 In short, the design of cationic amphiphilic polymer, with micelle formation ability to enhance stability of polyplex, might greatly benefit the designs of non-viral cationic polymers as potential gene vectors. Funding was provided by Xiamen Science and Technology Program Grant (Grant No. 3502Z20174025), Fujian Health-Education Research Grant (Grant No. WKJ2016-2-03), and Fujian Provincial Natural Science Foundation (Grant No. 2015J01416).